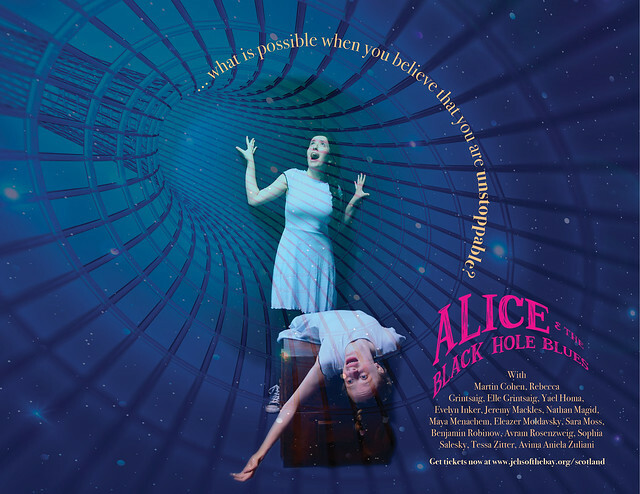 This world premiere, devised theater piece imagines what happens when an explosion creates multiple universes, in which Lewis Carroll’s Alice in Wonderland and a modern day Alice meet five visionaries who challenge societal assumptions about women and science. Hypatia, Marie Curie, Hedy Lamarr, Rosalind Franklin and Vera Rubin prove to the Alice(s) that even things that you cannot see exist. JCHS is pleased to be taking this production to Scotland for the 2017 Edinburgh Fringe Festival. To read more about JCHS at the Fringe, visit our Scotland page.